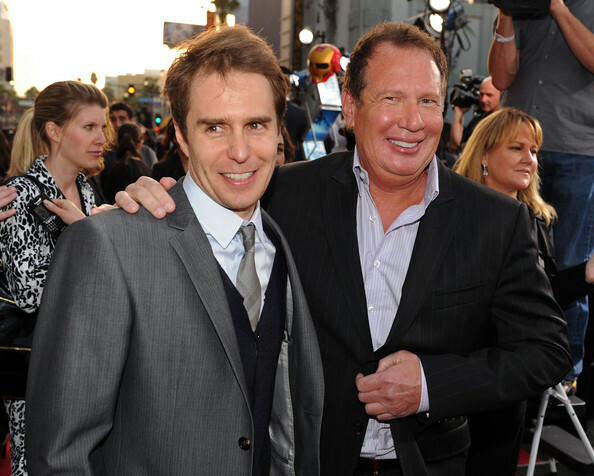 Actors Sam Rockwell and Garry Shandling arrive at the world premiere of Paramount Pictures and Marvel Entertainment's "Iron Man 2? held at El Capitan Theatre on April 26, 2010 in Hollywood, California. Sam wore a classic gray tie with a monochromatic striped print.